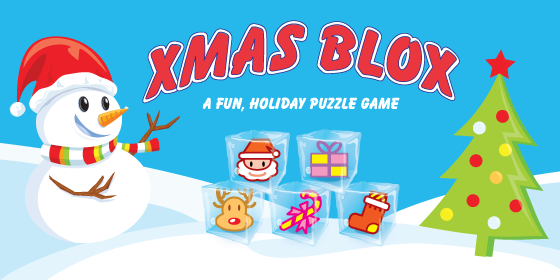 Xmas Blox is a fun, challenging puzzle game that people of all ages will enjoy. It is guaranteed to get you in the holiday spirit. Xmas Blox is not your typical matching game. Due to the cold weather several of the Bloxs are getting frozen in ice. These frozen Bloxs cannot be moved. They can only be broken by matching them or using special items to break the ice. 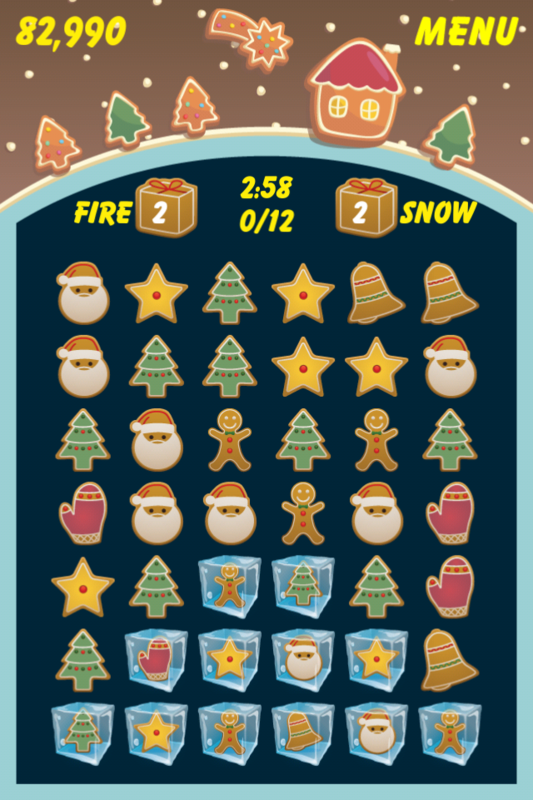 Xmas Blox features an Endless mode and a Challenge mode of gameplay. Play the Endless mode to see how high of a score you can get while breaking up the frozen Bloxs. 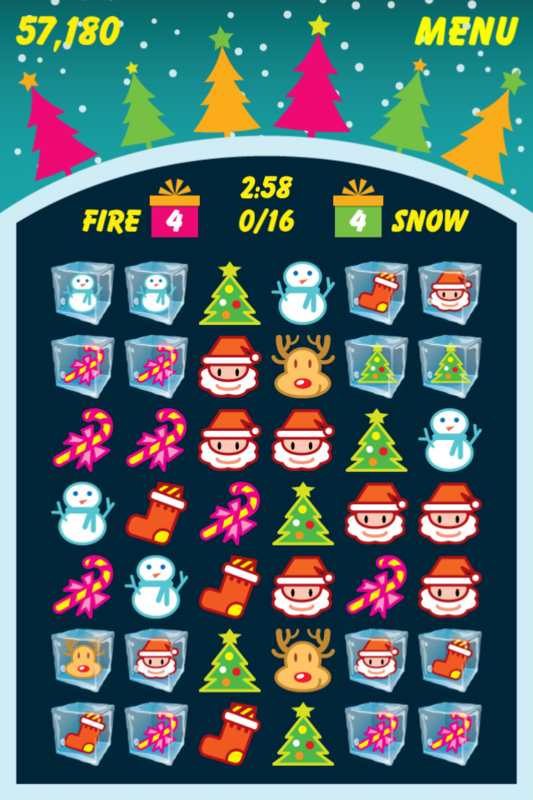 Challenge mode features 27 levels of Bloxs that are frozen in unique patterns. You must break all of the frozen Bloxs before time runs out. There are also two Holiday themes to choose from. You can choose the colorful Xmas Blox or the delicious Xmas Cookies to match.